Sweetest Goodbye added a touch of whimsy to the glamour that has been the driving theme of Avenue’s Couture of Hope event for Relay For Life. When I saw the outfit I had two contrasting images come to mind. 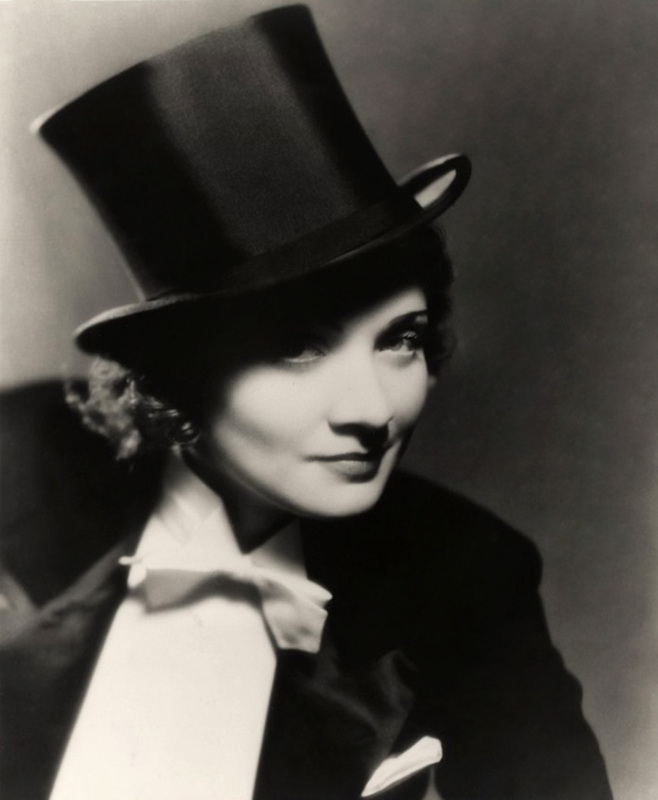 Marlene Dietrich who delighted in dressing in tuxedos and top hats and the props from the first Designers United event last year with the Vaudeville theme. I ran with both ideas at once because I lack discipline. The pose box, hat and cane were all produced by /me for Designers United Vaudeville. Since the event is over and it’s no longer available, if someone wants to use it to snap a picture, just IM me and I will rez it at Glookbone and drop you a LM. The outfit from Sweetest Goodby includes the top and shorts as well as the black bra. The collar, cuffs and tie are perfectly made to fit my avatar. I merely had to raise the collar a smidge. The shoes are the Pinup pumps from N-Core. Of course, I had to use Reel Expression’s Cabaret poses. I chose the Montague updo from Truth for two reasons. It’s something I can picture Marlene Dietrich wearing and it only needed a couple prims shifted for the hat to fit. With the exception of the eyebrows which Marlene plucked in a very stylized thin arc, the makeup from PXL Creations is something Marlene would have worn with pride. This entry was posted in Expos, Fairs and Fundraisers, Second Life and tagged [me], Couture of Hope, LeLutKa, N-Core, PXL Creations, Reel Expression, Sweetest Goodbye, TRUTH, Unique on May 8, 2011 by Cajsa Lilliehook.